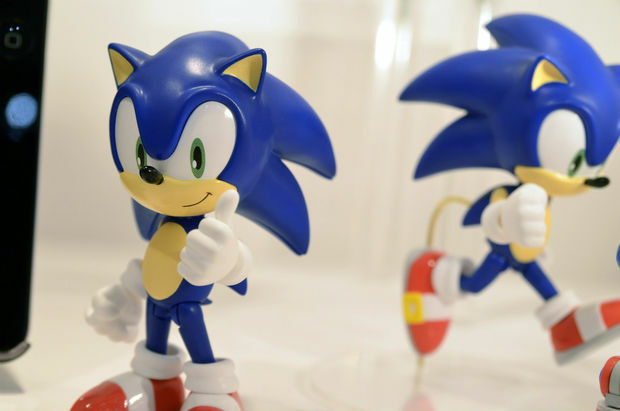 Has Jazwares cancelled its entire 2014 Sonic Toyline? So this is an update/article that I’ve wanted to make for a few weeks now, however I kept telling myself ‘wait until New York Toy Fair, just wait and see.’ Well… In the run up to Toy Fair, few other bits of information came to light which didn’t fill me with much confidence… following images of their booth at Toy Fair, I think the party is over. 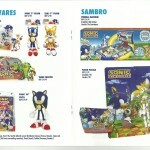 There is a lot of mounting evidence to say that Jazwares have cancelled or lost the rights to make new Sonic toys. Back in September, we brought you news that Jazwares had cancelled it’s highly anticipated Metal Sonic & Classic Amy plush. Since then however, there’s been a development. 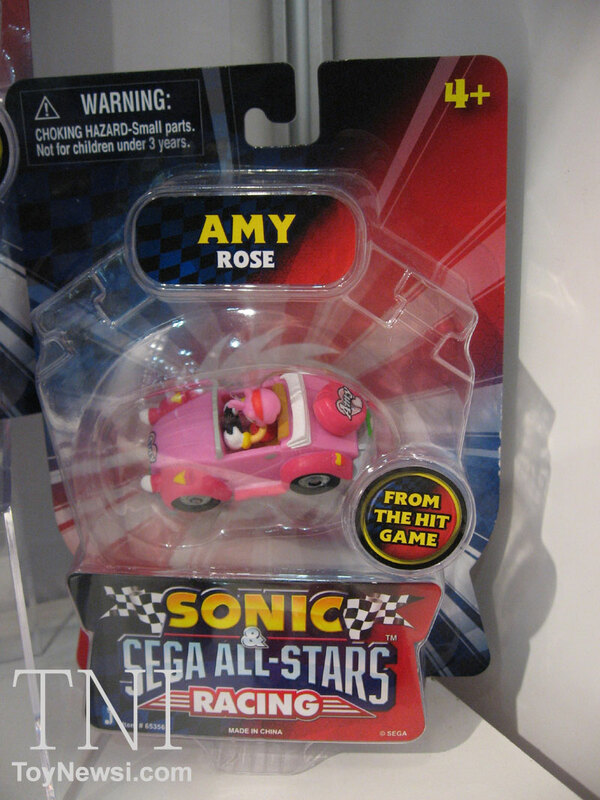 Classic Amy has in fact been released in a so far very limited form from online retailers, SSMB member PatMac posted images of it a few days ago. However… despite this surprise release, Metal Sonic is nowhere in sight, and another worrying sign is that Jazwares have changed their product page for their Sonic toys. Here is what it originally looked like after Jazwares redesigned their website in late 2013. 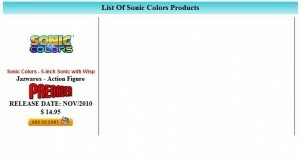 However, a few months ago, Jazwares since removed the ‘New Fall 2013 product’ from their site, there have been no additional products added to their Sonic page of any kind. See for yourself. More significant a hint that the Sonic line is no more comes from the Jazwares Facebook page, in the run up to the New York Toy Fair, Jazwares has out rightly stated that multiple products in the Sonic line have been cancelled. Rouge the Bat, Classic Knuckles and The Sonic & Shadow Reversible Plushies have all been stated to have been cancelled. 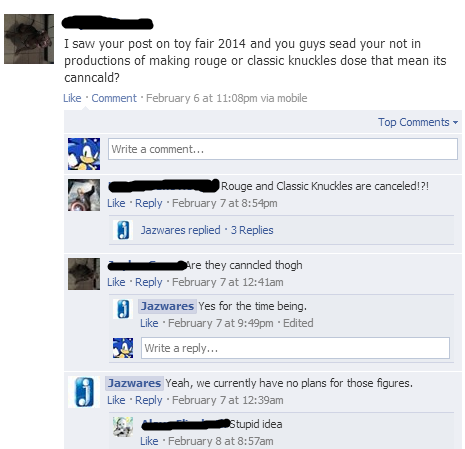 There has needless to say been quite a backlash on Jazwares’ Facebook Page to this news, this is quite understandable considering Classic Knuckles and Rouge have been teased and hinted at as far back as early 2012. In fact, on the 28th of March 2012. Jazwares posted this on their Facebook page. So ladies and gentlemen, unless this was an outright lie. 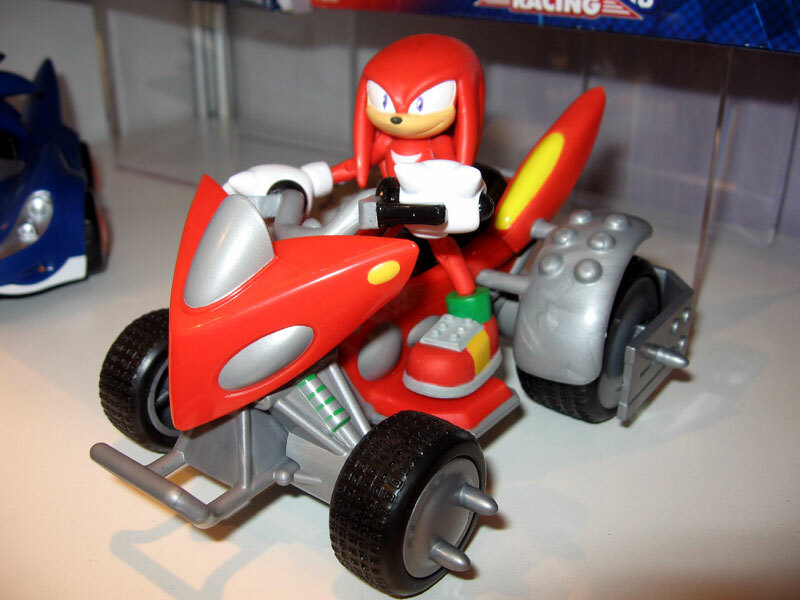 A classic Knuckles figure was not only in development and ready, he was just waiting for a release line to fit into. Since then there has been no mention of this particular character. So were we all lied to on this? Or was Knuckles ready to go? You might remember how we reported on this particular product page? The one which clearly shows a comic book pack of Shadow and Rouge with the word ‘new’ next to it, suggesting it was indeed on the way. 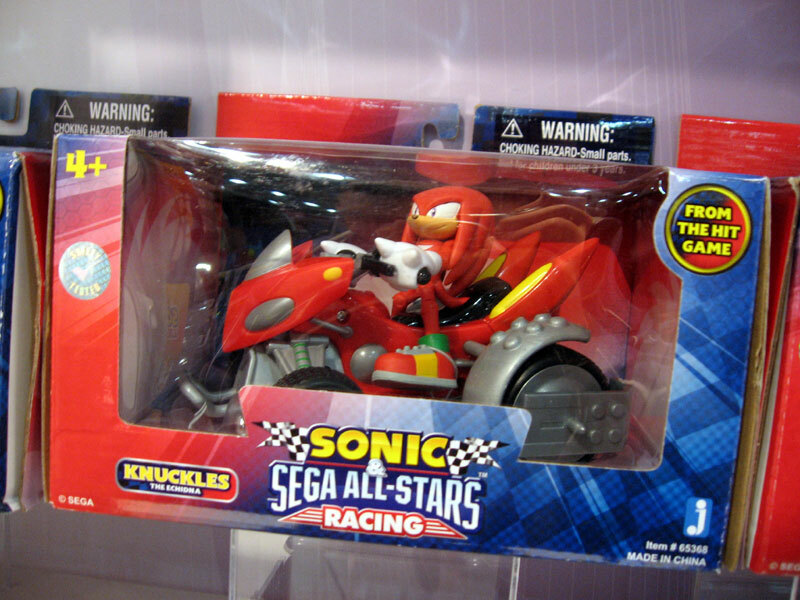 Unlike Classic Knuckles which had nothing released to support it other than the Facebook outlet, Rouge had a product number and even this promotional material to back it up. Which begs the question… why was this cancelled? Following the huge backlash on the cancellation, Jazwares have been sporting this reason. it’s up to the retail stores for what products get made. Placing the blame firmly on the retailers, if they don’t order them, then they don’t get made. There’s just one thing with this reasoning that I question. That being there’s evidence to suggest that this isn’t the case. 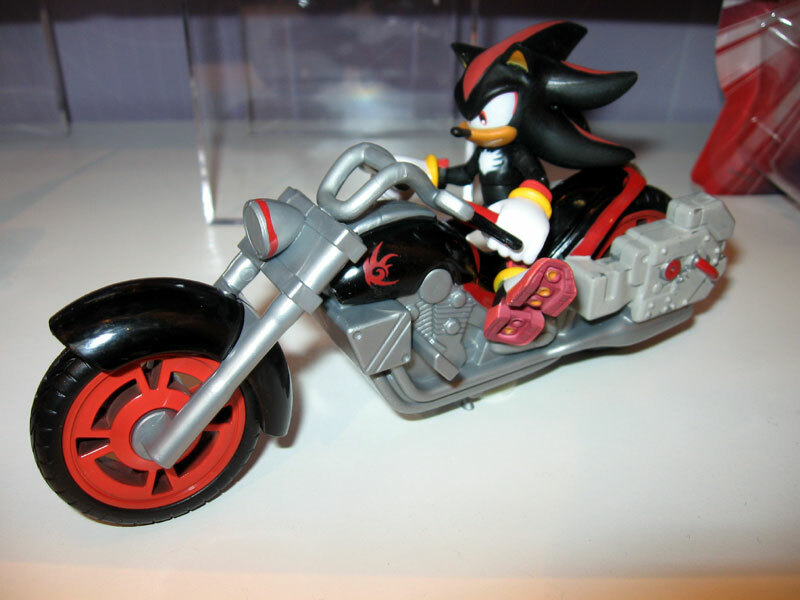 In the Sonic Black Knight line, the following figures were spotted and in some cases are still up for order. This information and listings dates back to June 2012 and can be found across several toy news and retailer sites. This is also the case for some of the ASRT toys which were announced and even shown at last years Nuremberg Toy Fair. Many of those toys over 2013 appeared as pre-orders at the United States branch of Toys R Us… that’s one if not the biggest toy retailer in the world isn’t it? There was even a product photo of it, this is taken from the old listing on TRU.Com’s website. Anyone own that? Anyone ever seen that for sale outside of the internet listing? So why was it cancelled? The same applies to Metal Sonic. Announced, then cancelled. Only this one is even more strange, not only has the Metal Sonic plush appeared on Jazwares’ website (and at the time of posting is still there). But it has also appeared as a product on the website for ‘Smyths’ who are one of the largest toy retailers in the UK. There was even an official product photo of it on a UK site… this was very rare since normally there’s a 1 year gap between US and UK releases. It’s around now you might be thinking… wait… they were announced in prior to 2014, what about this years toys? So far we have The Black Knight Silver figure (just released) and a Silver Super Poser. And that’s it. Everything else, all those toys from Nuremberg last year, all those toys which popped up on retailers, not happening. At least that’s based on what Jazwares itself are suggesting from their own booth at the 2014 NYTF. 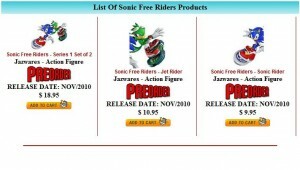 The following image are the press releases for Jazwares at NYTF. 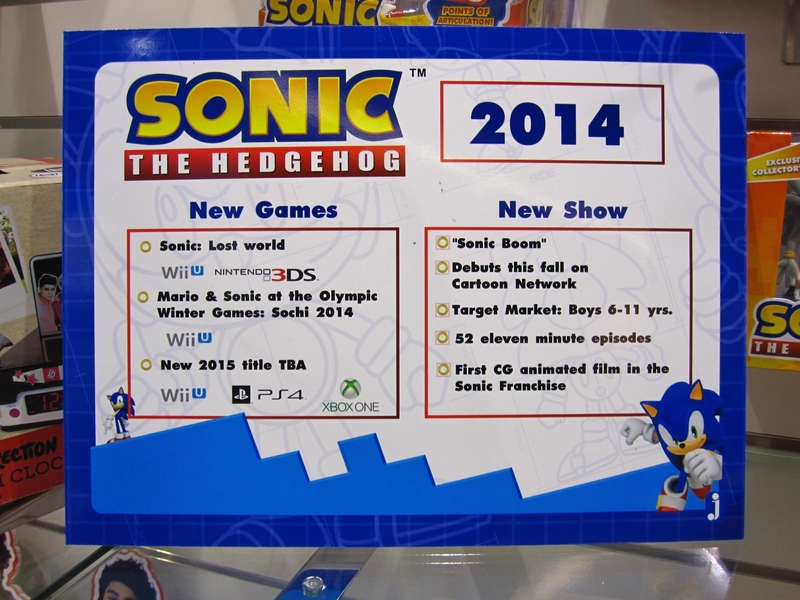 Sonic has no 2014 product list. 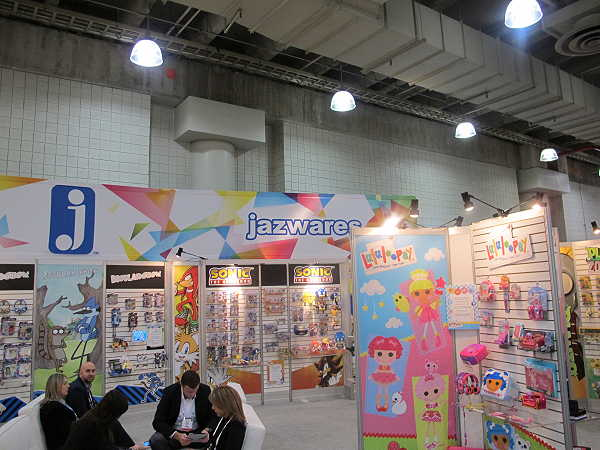 In conjunction with this, we now thanks to figures.com, have photos of Jazwares’ booth at New York Toy Far. 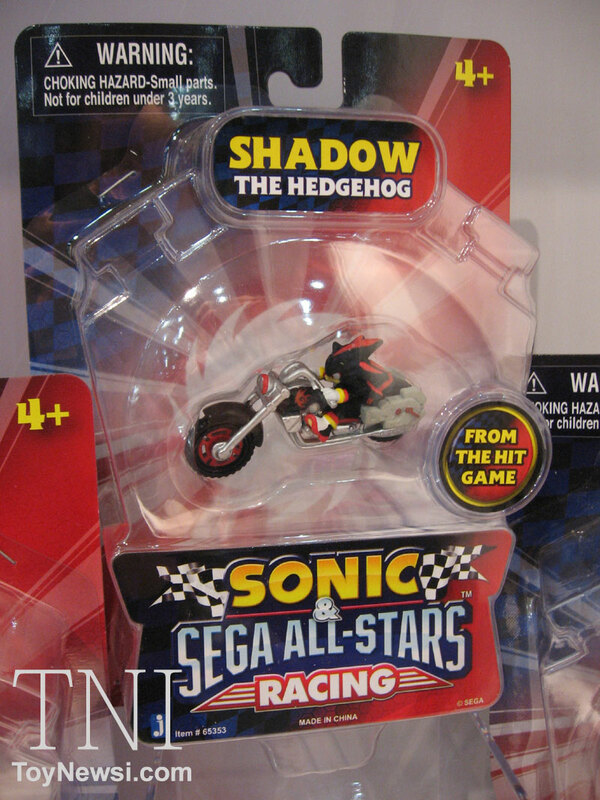 They show no new Sonic products aside from Black Knight & Super Poser Silver. 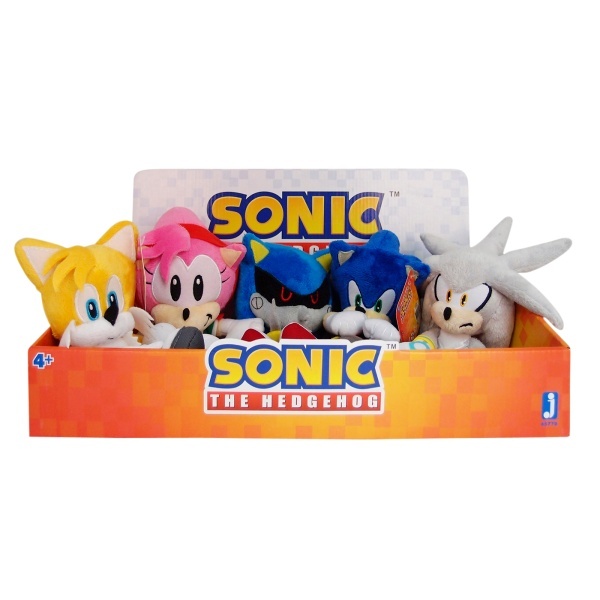 There’s even an image of the plush box which has appeared predominantly at 2013’s toy fair, only this time both Metal and Super Sonic are missing from it. 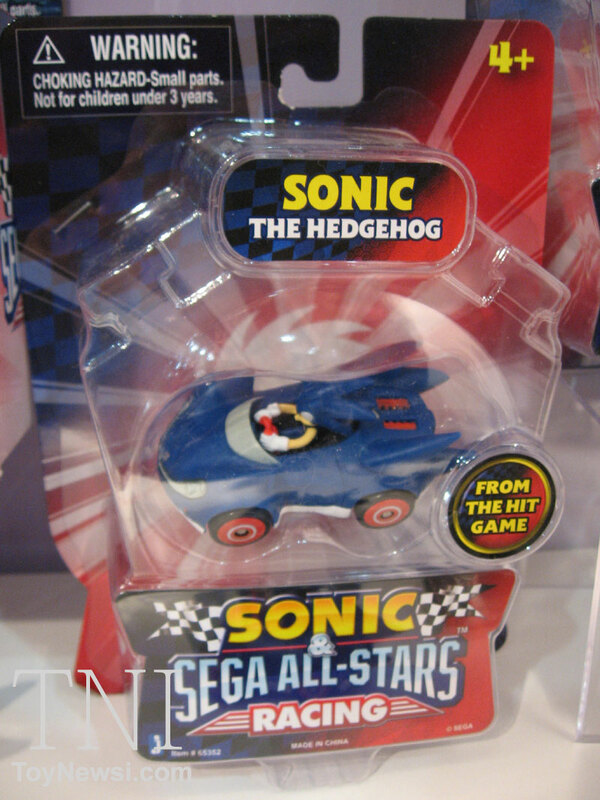 This is the biggest toy fair of the year for America, and Jazwares have no new Sonic products at it for 2014. If there were new products, it’s absolute madness that they’re not here, even if it were just a prototype or concept image. But there’s nothing. You can view more images of Jazwares NYTF booth at Figures.com, but there is nothing new, everything is already out or about to be released. So, what is going on? We went from being told ‘those figures are coming’ for over 2 years, we had so much new toys promised an shown in 2013, yet now the whole product line seems to have stopped. 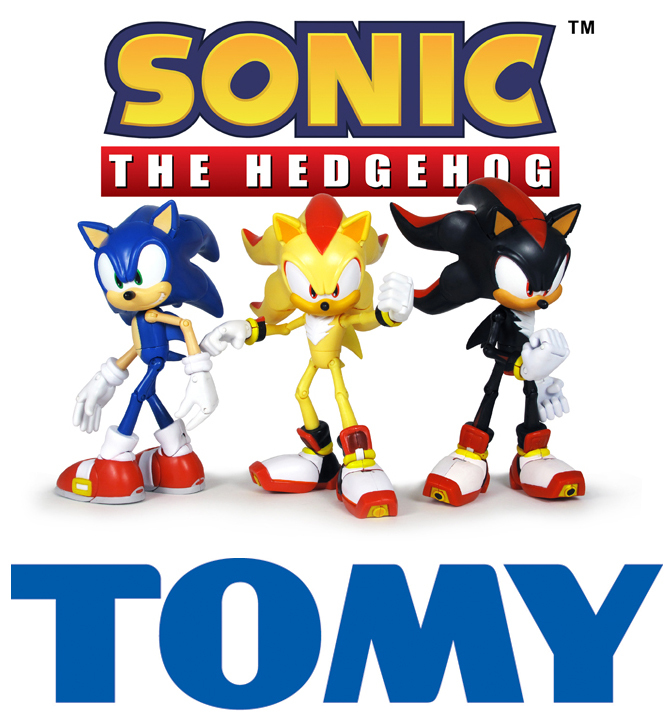 You might be thinking ‘maybe Tomy is the reason?’ Possibly… but Tomy has a license for Sonic Boom toys, Jazwares has the modern and classic games. It does sound like the Jazwares run of Sonic toys is at or nearing it’s end, no press releases, no new products on show and cancellation notices. It seems that the party is over on this one. Which is a shame because despite what you may say about the quality of the products, Jazwares did give us figures that fans have been crying out for since 1991. I would like to give you some perspective on this as to why this is a bit of a big deal. Metal Sonic is a very popular character, Metal Sonic merchandise is also very popular. To date there have only been 2 Metal Sonic plushies, both of which are extremely rare and can often go into the several hundreds when they come up for sale. There is a huge demand for Metal Sonic merchandise. 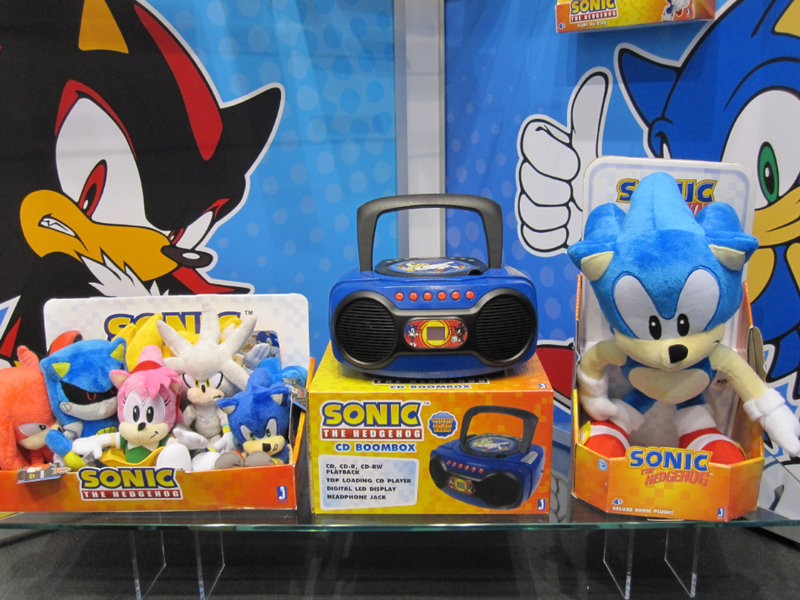 About 2 years ago, a Metal Sonic plush was spotted at a Toy Fair, despite not looking amazing, many people including myself were quite excited at the prospect of owning a Metal Sonic plush which wouldn’t require the use of Nathan Drake to find and Scrooge McDuck to fund. Since that toy fair, the plush was never seen again. 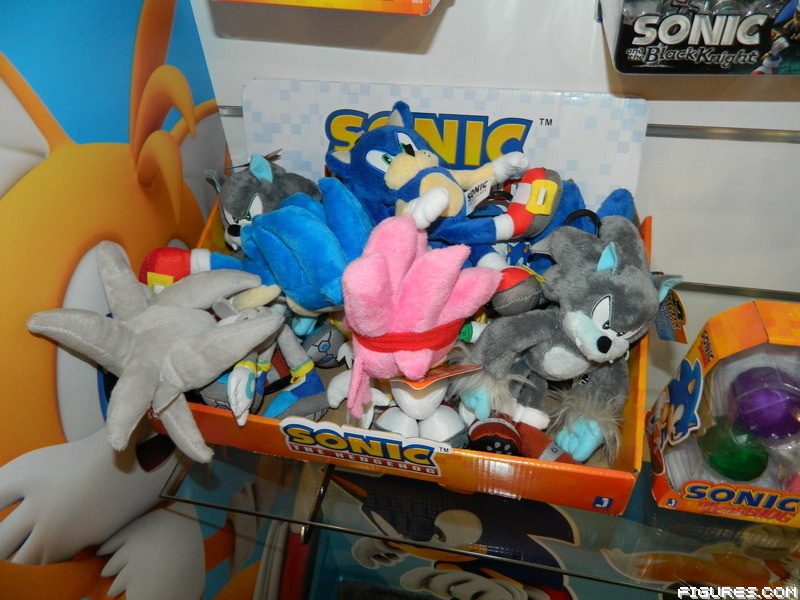 Then at the start of the year, the plush turned up at several toy fairs along with an Amy Rose plush. Both have appeared in officially released press photos and have even been up for pre-order. The UK’s ‘Smyths toys’ have it listed as being eventually available and it’s even on the Jazwares official website. It looked like Sonic merch collectors and Metal Sonic fans would finally get their wish and a Metal Sonic plush would finally be released. Well… Jazwares have decided to cancel the plush. Several people who have pre-ordered the plush have been in touch to say that they’re now reciving emails saying that Jazwares have cancelled the plush, no explanation as to why it’s been cancelled where given. Please accept our sincerest apologies, Jazwares contacted us this morning & told us they no longer plan to Manufacture the Metal Sonic Plush which you ordered. As a result, there will be no way for us to source this product. Several online retailers who have had pre-orders up for both these characters have also either pulled them or changed their listing to cancelled. Big bad Toy Story & Entertainment Earth have both change their listings for these items. It does indeed appear like these highly anticiptated toys will never see a release. Speaking as someone who was really looking forward to this, I cannot believe how bad a decision this was. Two years of showing this at toy conventions, even going as far as taking publicity shots of it and only to cancel it? Seriously what was the reason behind that one? This would have sold, so many people were looking forward to it. It should be also pointed out that at a toy fair earlier this year, Jazwares also showed a Super Sonic plush, however there has been no word yet as to the fate of this one. For fans of merchandise, the wait for a reasonably price Metal Sonic plush continues. P.S. 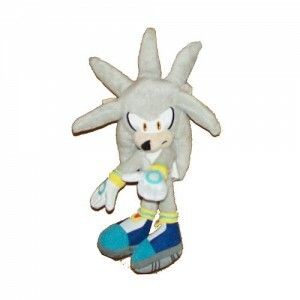 In the email quote you can see the words ‘Silver Sonic plush’ this is actually Silver the Hedgehog and not a plush based on the Sonic 2 boss. Let me leave you with this thought, Metal Sonic and Amy have been cancelled… The Silver plush however is still being released…. … … Yeah I’ll let you lot debate how good that decision is in the comments. Source: Entertainment Earth: Metal Sonic Listing, Amy Listing. AmyCancelled. 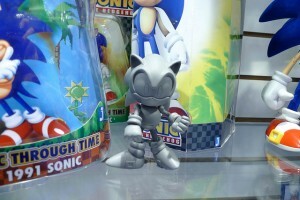 Close the walletsJazwaresmetal sonicSeriously Jazwares? Silver but not Metal Sonic? About 2 months ago, there was a Sonic product event over at Mercedes Benz world, at this event, a single photograph showed what appeared to be a Sonic product guide. Naturally fans of sonic merchandise were curious as to what it contained. But the guide didn’t ever resurface. Last week, another photograph of the guide was spotted, this time at a second event, the interesting thing about this picture was that you could just make out some products which haddn’t yet been announced. 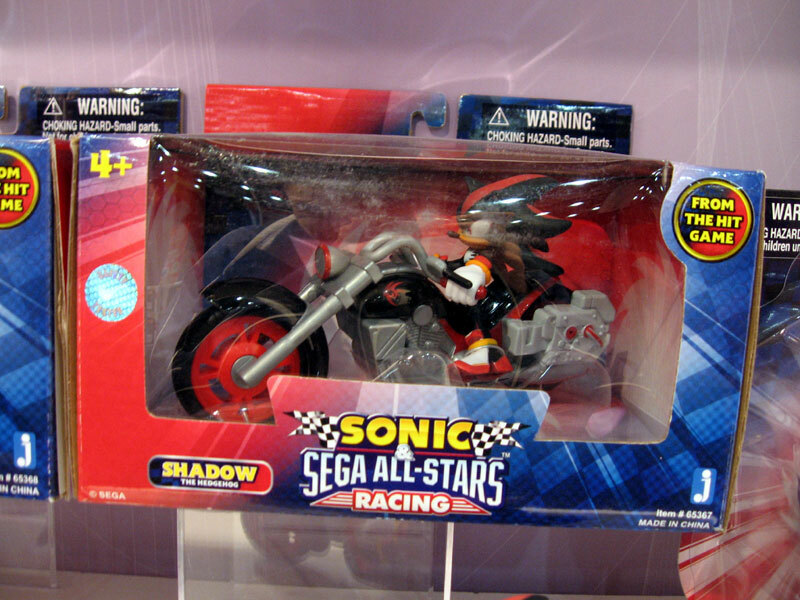 By now, Sonic merchandise fans really wanted to get ahold of it. Well… We’ve got one. 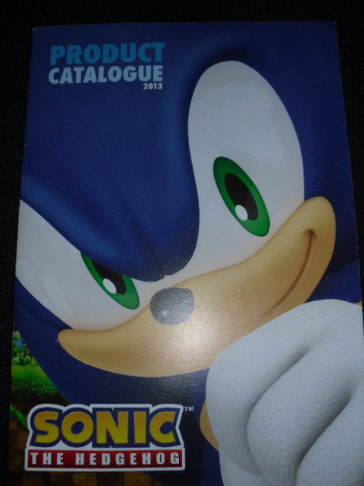 Thanks to our friends over at toybuzz.co.uk we now have a copy of the Sonic the Hedgehog 2013 product catalogue. Would you like to read it? Keep in mind, it only shows products that will be released in the UK this year. 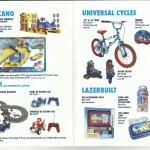 So you won’t find the huge range of Jazwares toys that the United Stages gets, nor will you see any Japanese products. Furthermore, due to items which you can buy/pre-order here in the UK, this guide is not the full range of products. The guide does however contain some new items and awesome looking items. Note: Click the images to see them at full size. I can hear you saying ‘Oh no! Not the clothes!’ But if you recieve that jumper/sweater on the bottom right, you might be jumping for joy. That looks fantastic, I love the random patches on the back as well as the Sonic logo on the sleve. I just hope it comes in adult sizes. Due to be stocked at Next, no price/release date was given. Nothing really new here, everything is known, however I’d like to draw your attention to the 2014 annual that we reported on a few weeks ago. 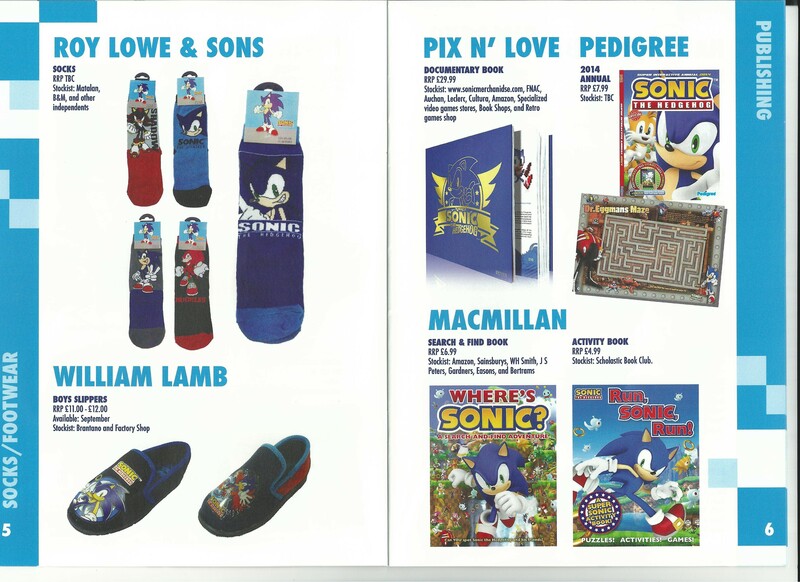 You can see a sample page from it showing “Doctor Eggmans Maze.” Unfortunately it looks like it’s going to be full of random stock art which is a shame, for some reason the ‘Sonic Generations’ logo is also randomly placed on that sample page… why? But that said though, I’m really looking forward to that and will be picking it up/reviewing it on TSS later this year. This is the one we want! Action figures! Well… it’s slightly disapointing. Whilst it’s good that the UK is finally getting the Chaotix and Blaze pack (Blaze is out now in UK Toys R Us stores by the way) a year after the US has had them, the inclusion of the 10 inch Sonic is disapointing since it’s been out for well over a year already. The plushies have been around for even longer. However the confirmation of the figures with accessories is a big welcome. Though personally I’d be much happier to see the Metal Sonic plush or some of the ASRT Jazwares toys make their way over to the UK shores. But, the biggest suprise is from Sambro. The pinball game has been seen in a few photos for a while now, but the giant floor jigsaw is a new thing. The image is fantastic, Sonic & Tails look really good in that environment. For you older fans. Consider getting the jigsaw and putting it in a picture fram, you now have one awesome looking picture. Everything you see on here has been out for well over a year. But the bigest suprise would be the inclusion of London Cakes. 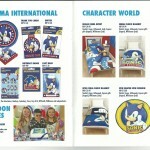 It seems that Sega has partnered with London Cakes who will make you a cake with an official Sonic image on it. 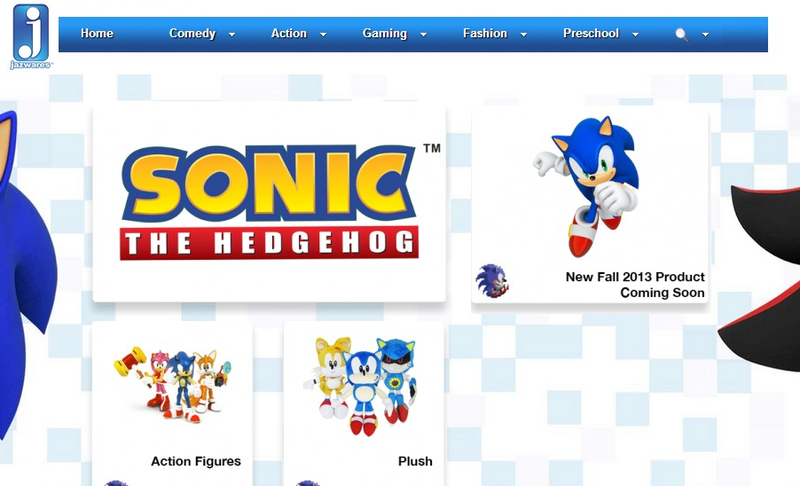 Checking their website, there doesn’t appear to be any Sonic cakes up for order just yet, so this might be a service which will be added later in the year. 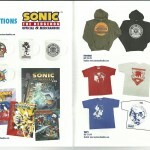 If I’m honest… The Sonic the Hedgehog Official Merchandise store has been very disapointing. Just take a look at it right now and you’ll see a small example of what I mean. Nothing new has been added to the store for months, what ‘collectables’ that are there can be bought very easilly at other stores for much less. With the exception of one or two imported items, most of the products can be found elsewhere for much better prices. Remember that Sonic Monopoly? I was able to import that from Canada and it ended up being cheaper than had I bought it from the Sonic Merchandise UK store! That said, this image would indicate that things might be changing. It seems that they’re going to be selling giant posters of archie comic covers. This is actually… quite a good idea, archie comics covers are usually a lot better than what you find in the pages of the comic and some of the covers are really nice looking. Giant sized on glossy paper? Thats a great idea! In addition to this, we seem to have unique branded merchandise. 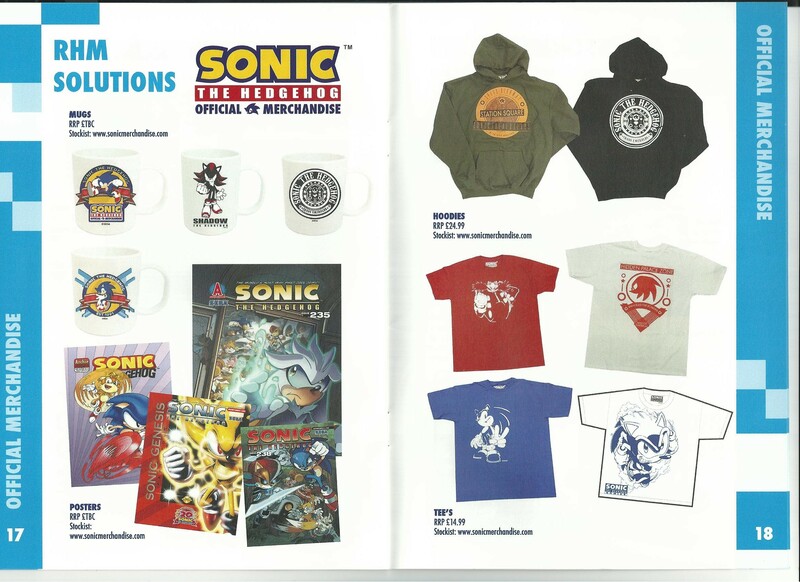 It appears to be limited to coffee cups at this point and whilst they have been advertised on the Sonic Merchandise facebook page, there’s not been any sign of the items on the store. With any luck the site will be getting a relaunch or a huge boom in products. It’s a great idea but is crying out for a huge stock update. And finally, Mike Pollock if you’re out there. 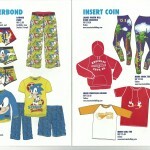 Eggman under pants are just under £4 from Primark. To see the full catalogue in full, check out our gallery, these images are large scans so don’t open them at once if you have a slow connection. 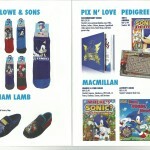 Special thanks to toybuzz.co.uk for sending us the catalogue. 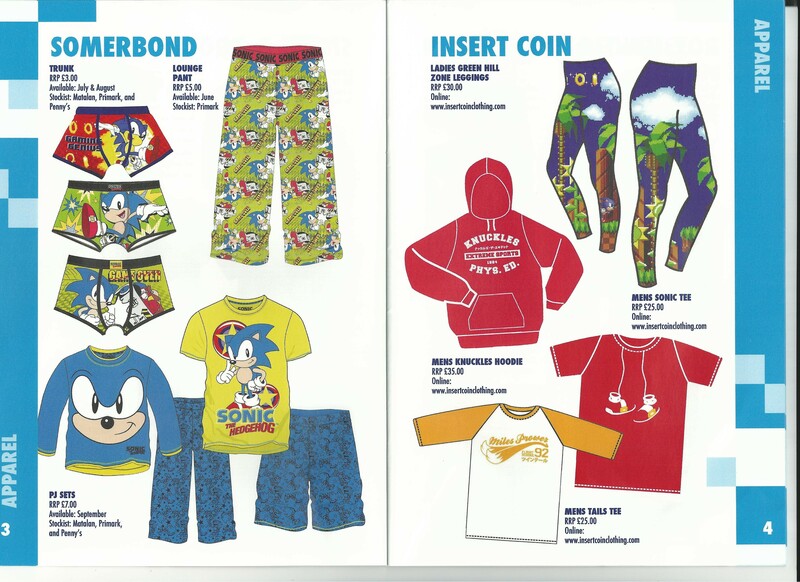 Now you might remember not very long ago we brought you evidence that Jazwares were planning a major increase in it’s Sonic merchandise line this year? With life-sized rings, ASRT figures and even cosplay masks? Well according to several ‘fact sheets’ dug up by Russian fansite ‘Sonic Characters’ Jazwares looks set to increase it’s Sonic line with several unannounced figures and some new transforming plushies. Hit that read more link to see all the new toys. Sega Confirms New Sonic Games for 2013! You could have guessed this. But it’s one thing to speculate, it’s another thing to get some form of confirmation. Sega have confirmed several new Sonic game for 2013. In the November 2012 edition of Toys ‘N’ Playthings there is an interview with Sissel Henno who happens to be the Head of Brand Licensing at Sega (Europe). 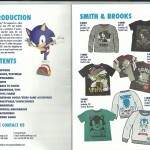 The interview is mainly focused on Sonic merchandise, in it we get some insight into not only Sonic’s future as a brand, but also confirmation for several new games to be released in 2013. 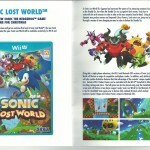 Continue reading Sega Confirms New Sonic Games for 2013! 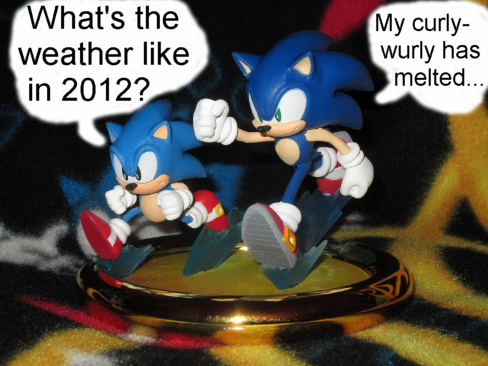 In January of this year, Jazwares released a rather awesome looking Sonic Generations statue. It was so awesome in fact that many collectors living outside of America decided to import it. The statue is a nice collectible… however, if one collector is right, it has a bit of a problem and depending how your statue is currently displayed you might want to take action. UK collectible specialist retailer Forbidden Planet is now taking pre-orders for Jazwares’ set of Sonic 20th Anniversary action figures. The figures will be released this coming Thursday October 6th and are priced between £7.99 and £22.99, depending on the size of the figure. To view the collection and/or get your pre-order(s) in, head over to Forbidden Planet’s website. Thanks to SSMB member BinaryRaptor for the heads up! Sonic action figure maker Jazwares has revealed in reply to a fan query on their Facebook page that work is underway on a Classic Knuckles action figure. Well folks he is in the works. And he looks AWESOME! No pictures or details about the figures have been released, but we would assume it will be part of the 20th Anniversary line and be out before Christmas. We’ll keep an eye out for more details. Thanks to Rooftrees Spindash at the SSMB for the heads up! Reports are coming in from the SSMB that the special 20th Anniversary Jazwares Sonic figures we told you about back in February are now appearing in stores across the US. The figures are currently nowhere to be found online on GameStop’s, Toys R Us’ or Target’s websites, but have been spotted in store at Target and GameStop. SSMB member dirupti reports that Modern Sonic, Classic Sonic, Modern Tails and Shadow figures can be found at various GameStop stores. These figures appear to be a ‘series 1’ set, with other characters following at a later date. All right! I can confirm that about every gamestop in Colorado has a box of these. 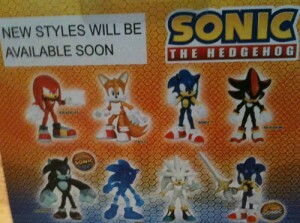 So, Classic Tails, Silver, Knux, and Eggman apparently are some sort of series 2. I picked up one of each and the cashier gave me the box (made to hold 6 figures) they came in for buying the rest of that stores stock. TheDanimator, also from the SSMB, found the Classic Sonic figure in stock at his local Target store and has recorded and shared the below video showing the figure out of its packaging. We’ve also heard from mikeblastdude at the SSMB that buying these figures from GameStop will get you an Avatar Award item for your Xbox 360 Avatar. In other news, a company known as Good Smile Company has revealed a Sonic the Hedgehog Nendoroid figure. 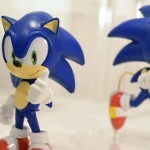 Like all Nendoroid figures, Sonic is around 4″ tall, poseable and appears to come with a checkpoint gate accessory. This figure will be available to purchase this Winter. 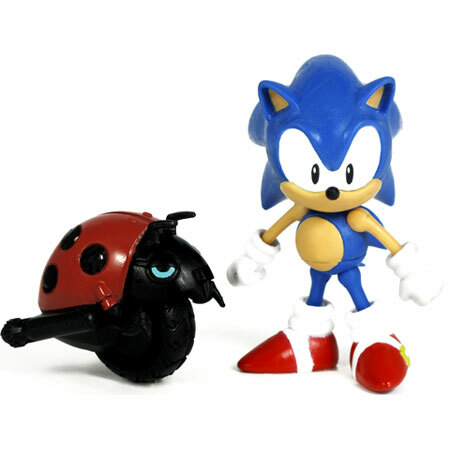 Thanks to TheDanimator for the Classic Sonic figure video and to STrainer for the Classic Sonic & Motobug figures pic! Earlier this week we saw footage and images taken from the Nuremburg Toy Fair of the new Jazwares line available later on this year. Well, our friends over at SEGA Memories have managed to obtain snaps of many of the figures and toys to be released to coincide with the 20th anniversary. Some of these have been seen before, but some photos include some others that haven’t been seen before such as the Classic Tails with Badnik figure (see picture – it’s that annoying thing that grabs you in the Chemcial Plant!). The images also include some “Battle Game” figurines, as well as images for the cover of Archie comics Issue 226, within the classic Sonic & Amy Rose figure set. Needless to say, I don’t think anyone is going to be short of new merchandise this year! Cheers to Hogfather and SEGA Memories for the tip and the photos! 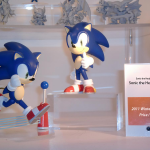 Jazwares has revealed their plans to launch a series of special Sonic 20th Anniversary figures and plushes at a recent London Toy Fair. 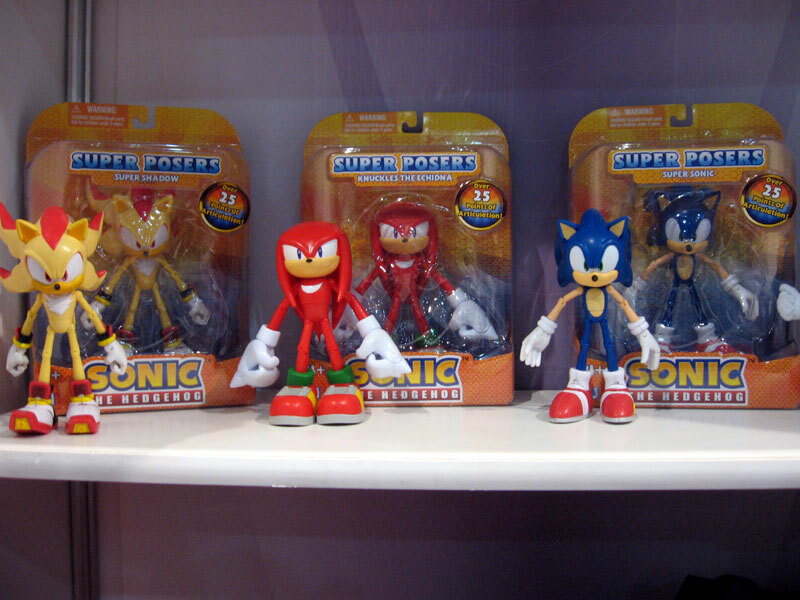 A range of prototypes and concepts were on show at Jazwares’ booth, including a figures series called “Sonic Through Time”, which as the name suggests are figures based on Sonic’s design at a various year in his life. Also on show was a Shadow figure & comic pack, classic Dr.Eggman with Egg Robo’s figure pack, modern Dr.Eggman with Egg Pawns figure pack and modern Tails with a modern sandworm Badnik figure pack. 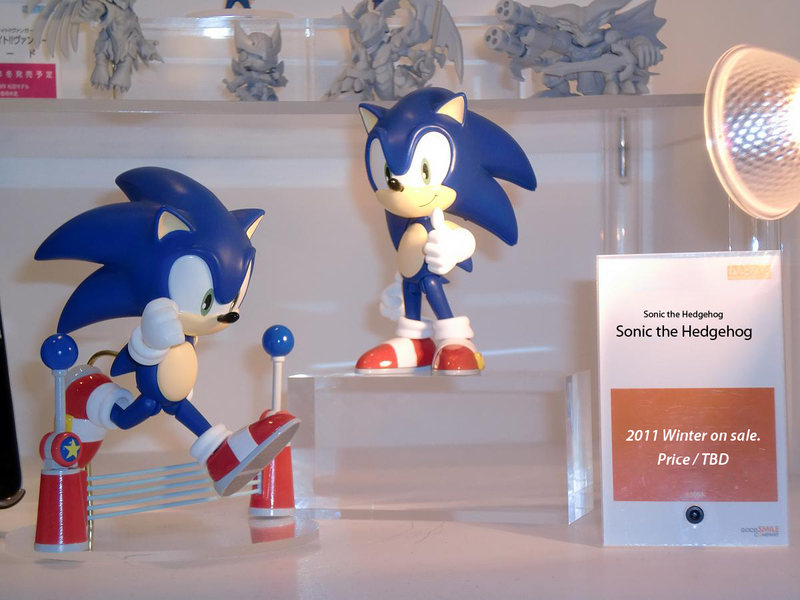 New plushes shown were a large Shadow and a large classic Sonic, both 20th Anniversary labelled. Since this line up was shown at a London toy fair, there’s hope that Tomy (distributor of Jazwares figures in the UK) will release these in the UK. No other information is available at present, but we’ll keep an eye out and report back. For now, check the two photos out and share your opinion of these new figures in the comments. Thanks to SonikkuForever at the SSMB for the heads up and to Barry the Nomad at the SSMB for finding the last three pics. Many new pieces of Sonic merchandise are now available at retail, so if you have a friend or family member who is a big Sonic fan, you’ll find plenty of items to choose from to buy for them this Christmas, or to just plain treat yourself with. First up are Sonic the Hedgehog and Jet the Hawk figures based on SEGA’s first Kinect title Sonic Free Riders, which was released last month. Each figure comes with the respective character’s eye wear and their hoverboard Extreme Gear. Both figures are available in-store at Toys R Us. Next up is another Jazwares Sonic the Hedgehog figure based off of another of his recent games Sonic Colours for Wii & DS. The figure is pretty much the same as previous Jazwares Sonic figures, except this one comes with a White Wisp and a Red Wisp. You can grab it now online and in-store at Toys R Us. It’s also available to order at ToyGlobe.com. For Sonic fans who like something softer, there are two new plush toys available in the forms of Silver the Hedgehog and Miles “Tails” Prower. Both are made by Jazwares and are available exclusively in-store and online at Toys R Us. 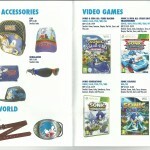 Finally, two new Sonic themed accessory gift sets have been released by Bioworld Merchandising. One set contains a belt buckle and wrist band, while the other contains a wallet with a different wrist band. Both are available in-store and online at Toys R Us. Thanks to Woun, chaoscontrol14, Barry the Nomad and Jix Hedgehog at the SSMB for the heads-up! 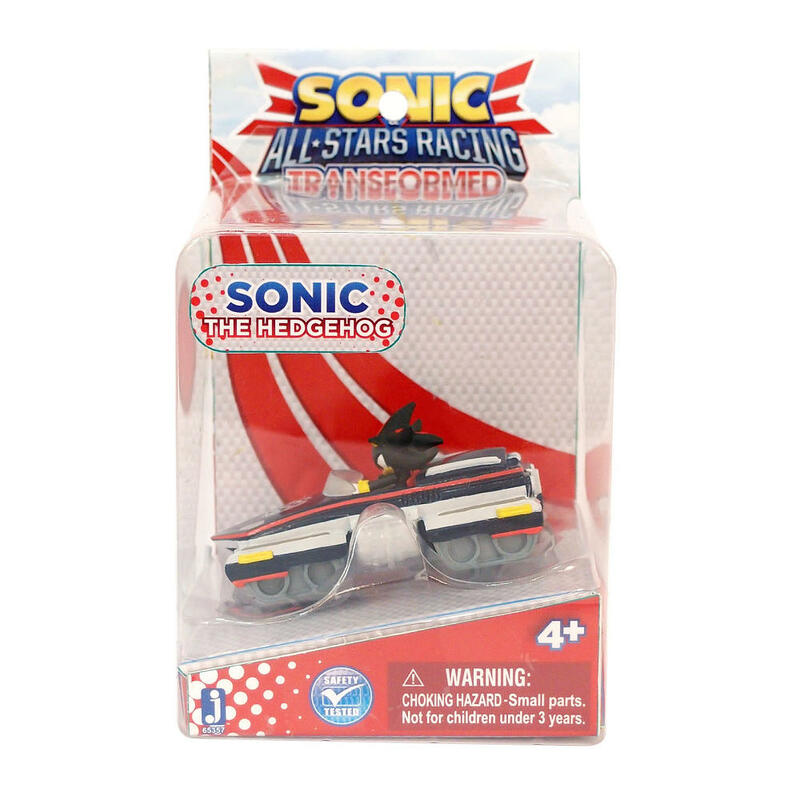 As well as a Sonic Colours action figure, U.S. toy retailer ToyGlobe.com now have 3 listings for Sonic Free Riders action figures. 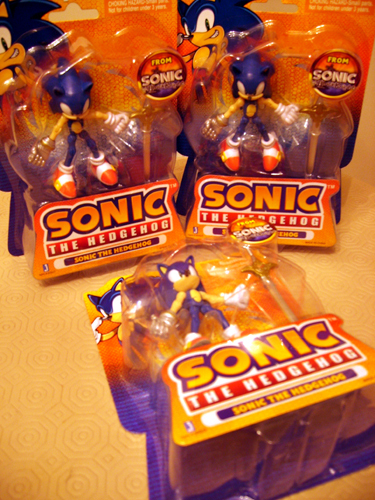 The figures can be bought as a two-piece set of Sonic and Jet for $18.95, or you can buy them individually. Alone, Sonic costs $9.95 and Jet will set you back another dollar at $10.95, so buying them together will save you $1.95. The figures are currently listed for a November release, which of course matches the month of the games release. No pictures or sizes are available at present, but we’ll keep an eye open for any released in the future and pass them along. 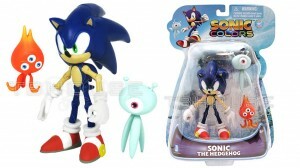 ToyGlobe is now listing a Sonic Colours action figure. 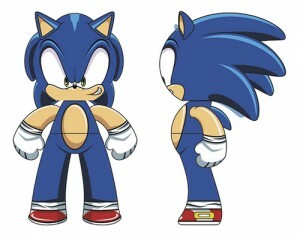 No picture of the figure is available, but the description says it is Sonic and measures in at 5 inches. The figure comes with a Wisp, but there’s no clarification on what kind of Wisp it is. According to the retailer, the figure will be released in November this year, which is the same month the Sonic Colours game is released on Wii and DS. The figure is available to pre-order for $14.95 on ToyGlobe’s website. Could this be the same figure being packaged with the “Special Edition” available for pre-order in some parts of the world? Thanks to Seraphinprincess at the SSMB for the heads-up! 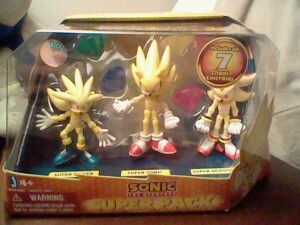 You may remember that we reported a couple of weeks ago about Jazwares latest releases, but we didn’t have any pictures of the Super Pack, which contains action figures of Super Sonic, Super Shadow and Super Silver. Thanks to Jix Hedgehog and TheEGGOne, we now have pictures of this set for those of you who haven’t seen it or bought it yet. Those who have picked it up, let us and the other readers know what you think of it in the comments. Jazwares, the company behind a lot of Sonic merchandise in recent years, has released more goodies for you to spend your hard-earned cash on. 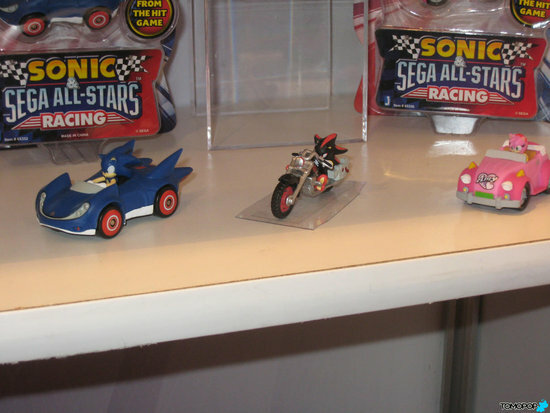 An update at their Facebook page states that Metal Sonic and Eggman figures should now be in stores, along with The Super Pack and the large Racers Pack(seen in the photo above). Big and Froggy figures are said to be coming later this year and Vector and Espio will be packaged together in the latest Comic Book Pack. Hey guys, so I know you all have been asking what the deal is with Sonic and I wanted to give you a clear layout of what to expect for the coming months! …So should the The Super pack and the large Racers Pack. and Froggy are later this year, no images yet. be together in the latest Comic Book pack. Some fans will be interested to know that Jazwares are hearing your calls for Mighty the Armadillo, Rouge the Bat and Omega figures. In a second Sonic update to their Facebook page, they say they have passed these requests on to the design team and will keep everyone posted. If we hear more, we’ll let you know. will keep you posted! Thanks!! Thanks to fellow TSS Staff member Jason the Jackass for the pic of the large Racers Pack and to Jix Hedgehog for the pic of the Dr.Eggman & Metal Sonic pack. Vector and Espio pic courtesy of eBay seller tbhouse(thanks to SSMB member Aquaslash for the link). We’ll keep an eye out for a pic of the Super Pack figures and update when we get it. If you have the figures and could take a picture of them, please send them in to shadzter@sonicstadium.org and we’ll credit you in this post. UPDATE: Thanks to Nemain at the SSMB we have a link to an eBay auction selling the stickers, the seller states there are 140 stickers to collect. 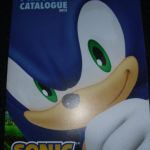 Stasis in the comments has informed us that he has picked up a copy of the book for £1.99 and confirms the 140 stickers total while also informing us of an advertisement in the book for the UK release of the Jazwares Sonic merchandise revealing a June release date for them. Thanks Nemain and Stasis. 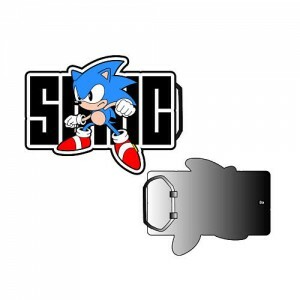 The Sonic City Blognik has just been tipped off via their @SEGA Twitter account by user Adwil24 that a new Sonic Sticker Collection has been released in WH Smith stores which suggests it’s available in the UK and Ireland. This is the first official sticker collection in the UK since the Mega Drive days. No other info was given apart from the above photo, we’ll try to get our hands on one along with some stickers and report back. TSS Competition: Sales Pitch Winners! So here are my Sonic The Hedgehog Friends & Foes statue line! *ahem* -steps up to front- BEHOLD!!! 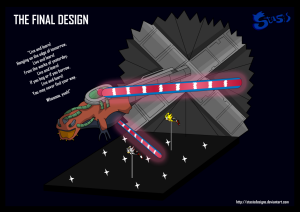 First, we were very impressed by the filly illustrated technical design for the Sonic Adventure 2 playset – we could probably build one from these schematics! 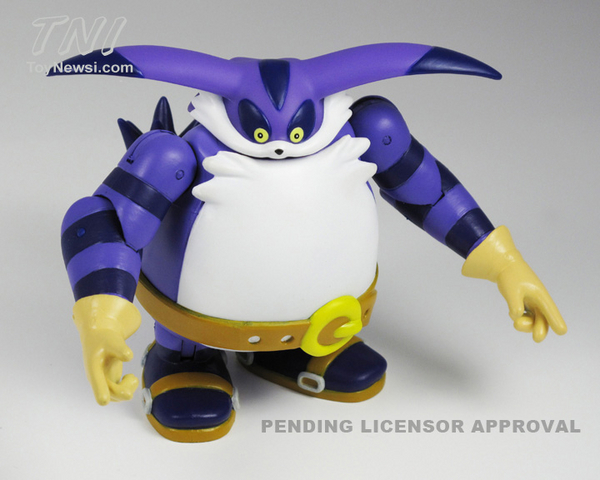 A Dr RRRRRRRRobotnik room guard. Stops people from rooting through your belongings. Set it up before you leave the room, and when someone enters they are caught “snooPING AS usual, I seeeee!”. Thanks to the used phrase, it also insults them. Enough to scare off any burglar or badnik I think! Congratulations to all the winners, please as usual send your postal info to tbird [at] sonicstadium [dot] org as per usual! If you didn’t win anything this time around, do not fear!!! We have YET ANOTHER COMPETITION beginning in May…all I can say is you’re going to be at an advantage if you’re good at putting names to faces! Imagine you are a Sonic the Hedgehog toy designer working for a company like Jazwares. You have come to a meeting with you’re fellow designers, and the boss wants ideas for new Sonic toys for the company to sell! Your task is to come up with an idea for a Sonic the Hedgehog themed toy! I don’t mind what you want to pitch: it can be a soft toy, an action figure with a super cool action, a figurine, a statue etc… all it has to be is something that could be realistically made, and would get your fellow collectors queuing for days outside of the shops to get them! To enter, simply post your idea in the comment box! Try to keep your entries to a few sentences (the boss wants brief, punchy pitches, not to be bored to death!) and most of all, be original in whatever way you want! The competition is open until Wednesday, 21st of April 2010. Competition winners will be notified on the front page so keep an eye out! The competition is open worldwide, so anyone can enter. With the exception of people living on Bishop Rock. Props to Marie and Richard for donation of prizes! Emerald Coast owner, SSR DJ and all around cool guy Vger reports that UK collectibles retailer Forbidden Planet are now stocking three characters namely Sonic, Tails and S&TBK Sonic from a range of new figures priced at just £4.99. The back of the packaging informs that more are on the way but no information as to who or what they are. We’ll keep an eye out for them and report back here. Meanwhile if you’d like a closer look at the three figures currently available head over to Emerald Coast. 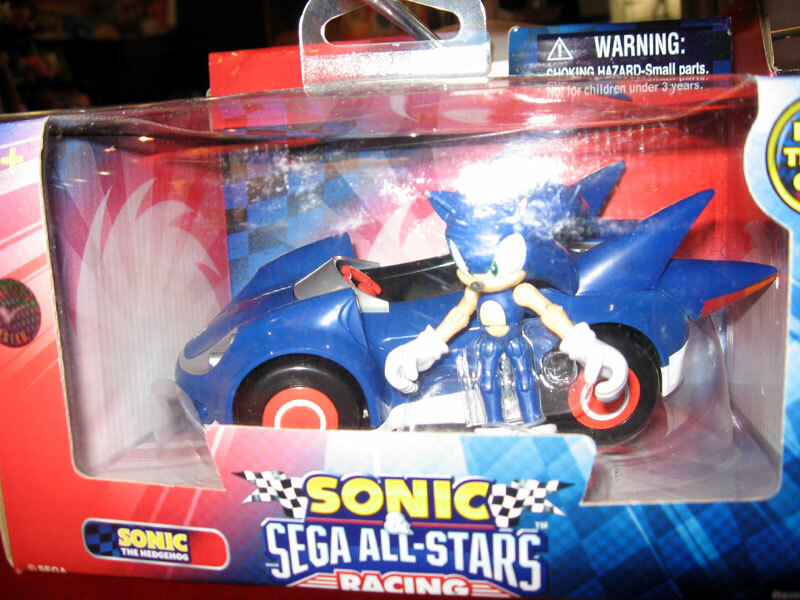 If any of you have been waiting feverishly for new information on the figures based on Sonic & SEGA All-Stars Racing then today is your lucky day. Thanks to Toy Fair 2010 in New York we have a slew of new pictures for you and details of what else to expect from Jazwares in the coming months. 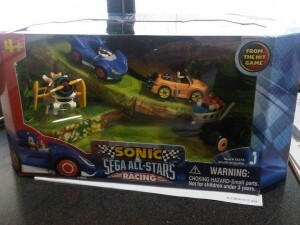 Firstly, we have the ASR figures; 5 Inch vehicles with figure and 3″ Mini Racing Figures, inside and outside the box. 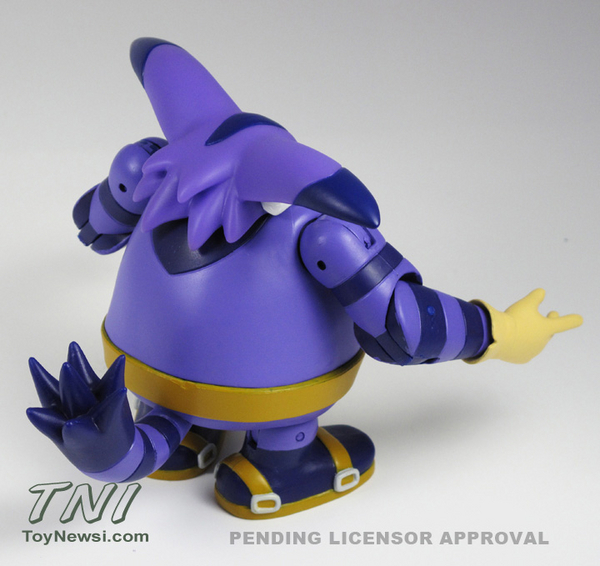 Next in the gallery blow you should be able to spot the new 6 Inch Knuckles Super Poser. 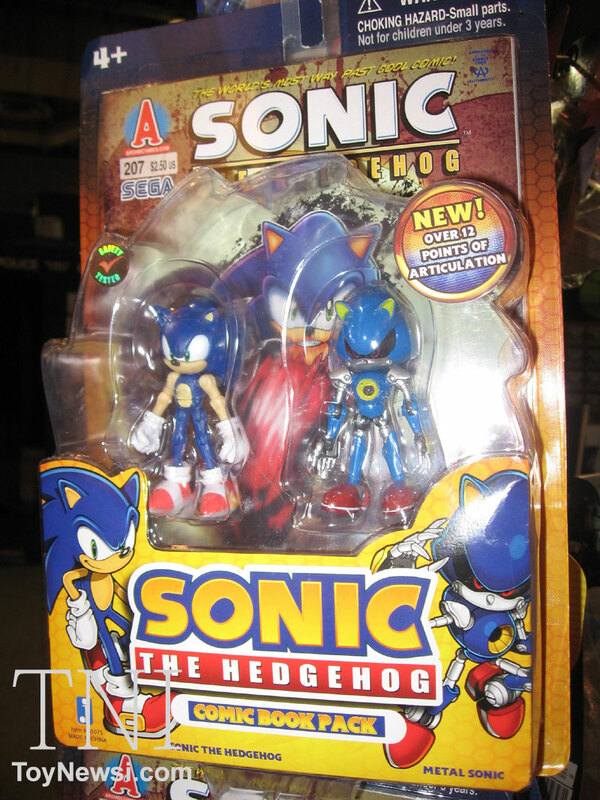 Finally, last but not least is a second Sonic Comic 3″ Double pack, this time featuring Archie’s Sonic issue 207 and three inch figures of Sonic and Metal Sonic! Thats right, the metal one is getting another figure. You wait years for one then three come at once. According to ToyNewsi Jazwares aren’t planning on releasing good ‘ol Metal by himself just yet but it may be in the pipeline later on. But thats not all the Sonic figure news we have, oh no. Expect to see wave two of the mini ASR figures expand to include Knuckles, Eggman and Tails with wave three being the first to contain none Sonic characters in the guise of Ai Ai, Amigo and Beat. 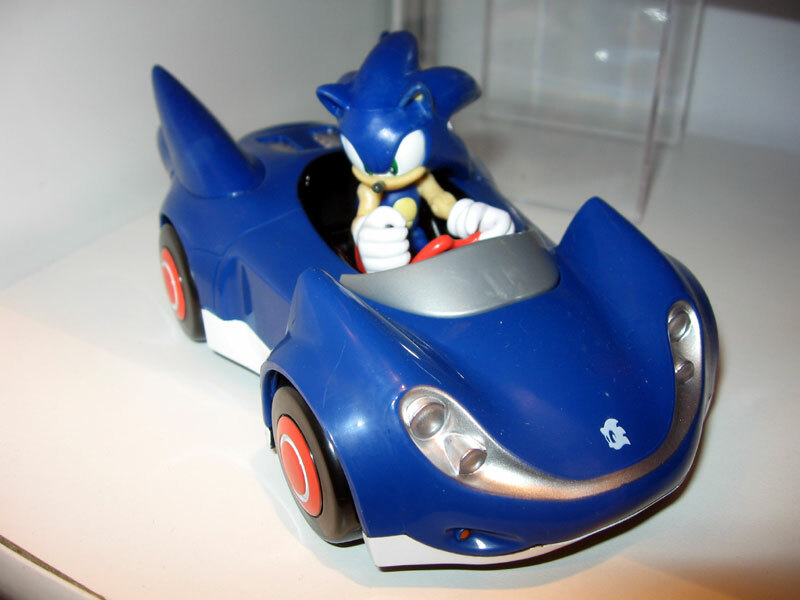 If you’re not into Sonic and cars then you have a Tails 6″ Super Poser to look forward to as well as the Knuckles one and Jazwares also has a mass of plush characters waiting in the wings. 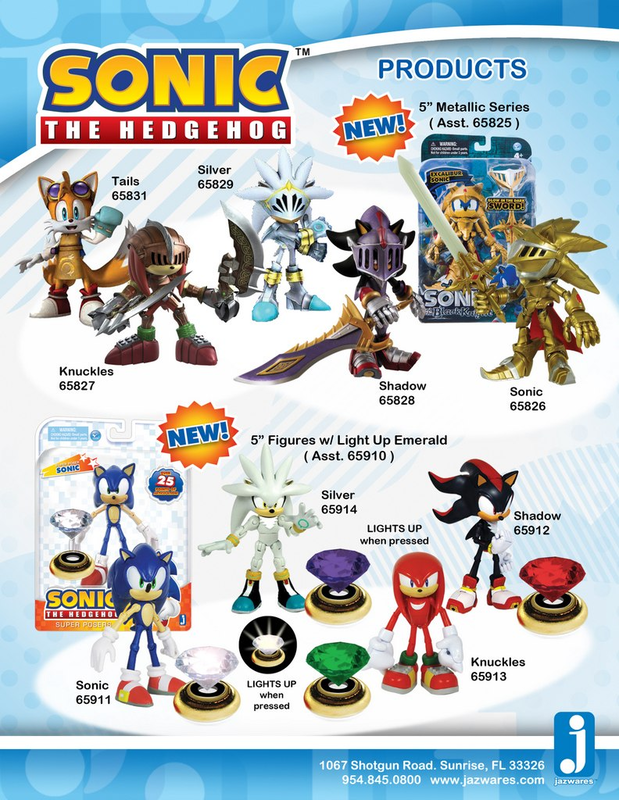 Sonic, Shadow and The Werehog are already features on Jazwares webpage but new to the series will be Tails, Knuckles and Silver. Finally it appears Amy will finally get her claws on Sonic as they will be released together in a future comic double pack. For more pictures see ToyNewsi. 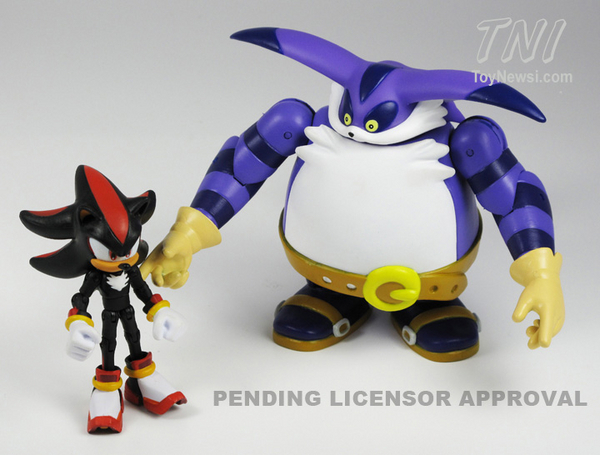 Earlier this month TSS exclusively revealed the first scraps of information about Jazwares teaming up with Tomy to release their Sonic figures in the UK. Today TSS has the full details of the deal including the first wave of figures and prices. 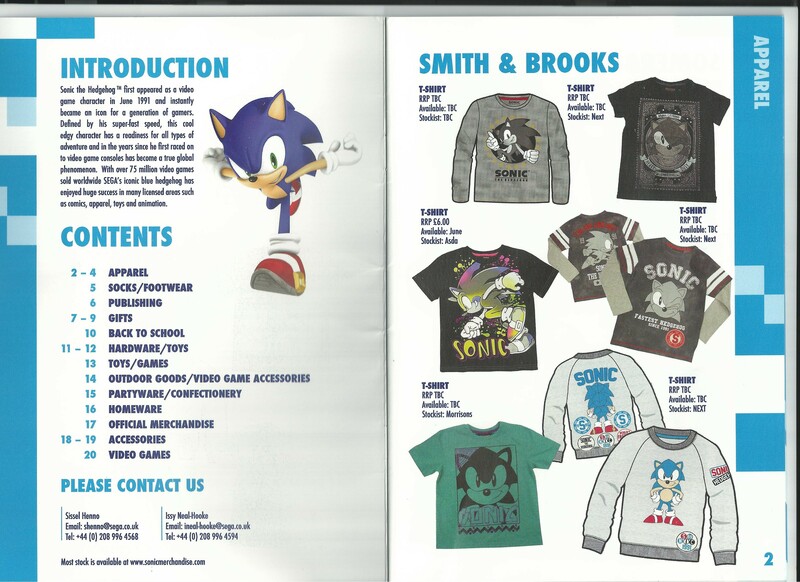 The first thing to take note of is that Tomy have agreements with both Jazwares and SEGA to not only release existing Sonic figures but develop their own Sonic based merchandise. 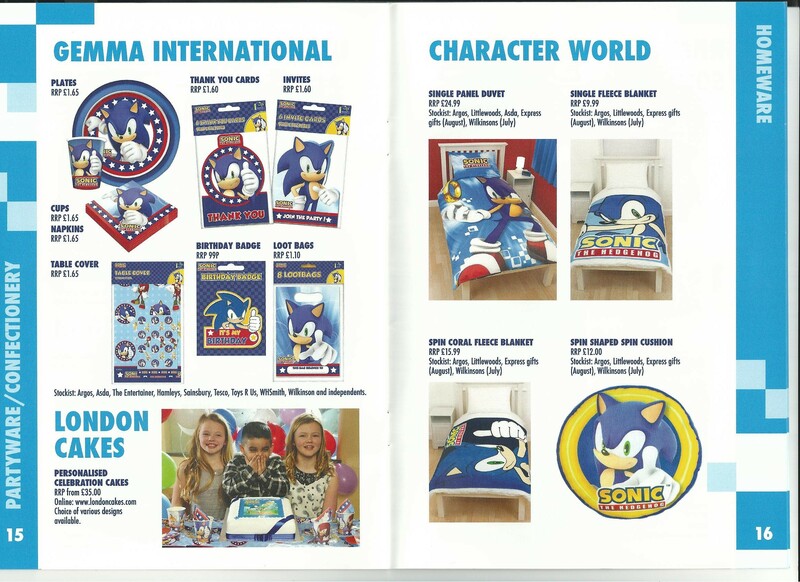 The deal comes in two parts; Tomy will have access to “a massive back catalogue of characters and stories from two decades of Sonic games, to create a range of new and innovative Sonic-branded toys and collectibles for fans and collectors, young and old.” from Spring 2011. 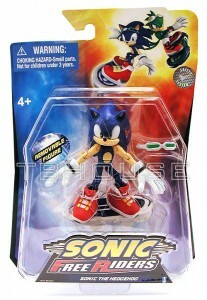 Secondly, from February 1st 2010 to December 31st 2010 Tomy will distribute Jazwares’ Sonic figures across the whole of Europe. While the business news is exciting Tomy have also released details about the first wave of Jazwares figures to look out for and their recommended retail price. 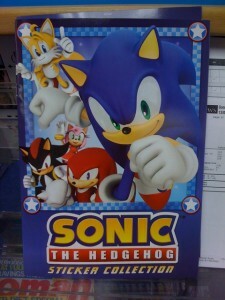 Sonic the Hedgehog Comic Book Pack, a collector’s edition 200th issue comic book featuring Sonic and rival Knuckles, complete with two exclusive 3¾” posable action figures (£16.99 RRP). Should any of you more eagle eyed readers spot these figures in the wild why not drop us a line at thesonicstadium@gmail.com and tell us about it? Jazwares has teamed up with Tomy who will be distributing the line of figures and it’s expected like in the US the range will be available to purchase from Toys R Us stores. Further e-mails have been sent to try and ascertain more details such as exactly which figures to look out for and when but until we get the answers this is all we know. Obviously TSS will be sure to keep you updated on this developing story. Jazwares just keep them coming don’t they! Wave two of the 3″ figures are reportedly hitting the shelves of Toys R’ Us state-side, with the line-up including Silver the Hedgehog, Shadow the Hedgehog and Sonic the Werehog. If you want to see some pictures of them out of the packet head over to the Sonic Stadium Message board, where SSMB’er Aquaslash has been kind enough to post up some pictures. Finally, we can now get our hands on a Silver the hedgehog we can play with, rather than having to make our own. Personally I think they’re a little on the chunky side, but there again if you’re going to make figures that size, you’re going to loose detail for posability. Thanks to Foxwhisker for the heads up! Catch It If You Can: SDCC JUVI Metal Sonic Figure Now on Sale! 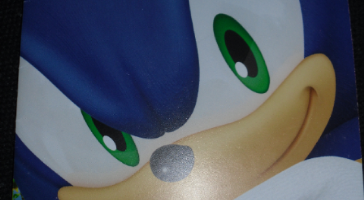 Yup, it’s finally that time of the year again for the San Diego Comic Con, and for the handful of lucky, lucky American Sonic fans there’s a nice little treat in store. All attendees have their chance at picking up one of the Jazwares JUVI Metal Sonic figurines, which are exclusive to the event and will only be sold over the 4 days the event in held. HOWEVER, if you’re quick enough, Toys R’ Us US are stocking a limited amount of the figure at $15.99 a pop, so even if you’re unable to attend the event you can still pick up one of these nice little additions. Unfortunately it looks like this is only open to the US, and only available to purchase for 4 days, so be quick about it if you’re wanting to snag one! Everyone else will have to open up their wallets and fork out for one (plus postage) on ebay! You can buy the figure here at the Toys R’ Us Website.